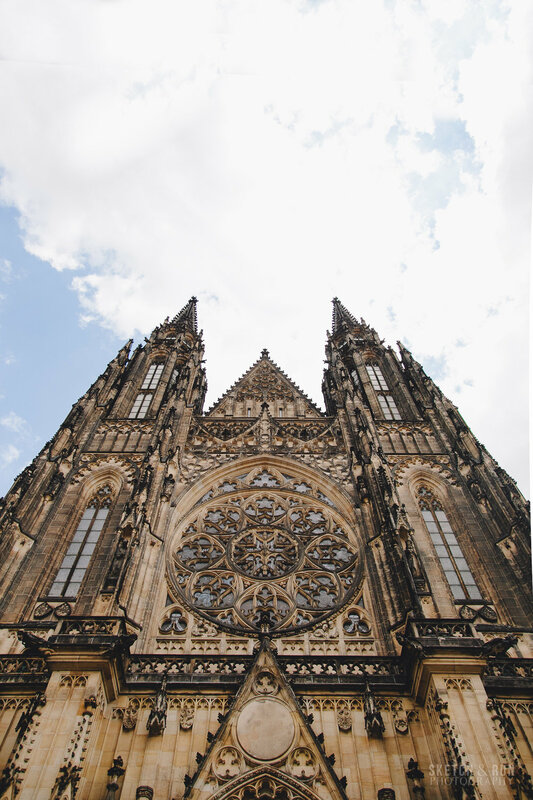 If you're ever at a loss about where to go in Prague, your best bet is up - namely, to Prague Castle. 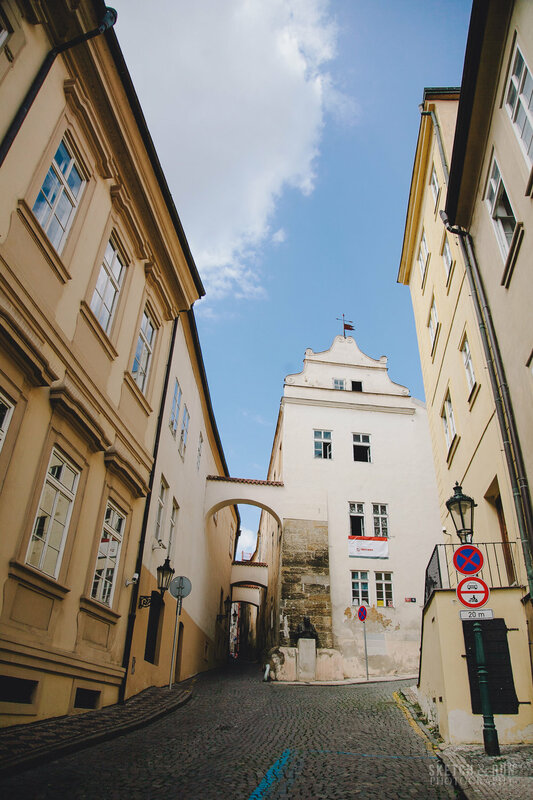 Through the narrow alley and gigantic hills of Mala Strana (Lesser Prague), just set your sights on the tall spires at the top of the hill and you'll get there in the end. 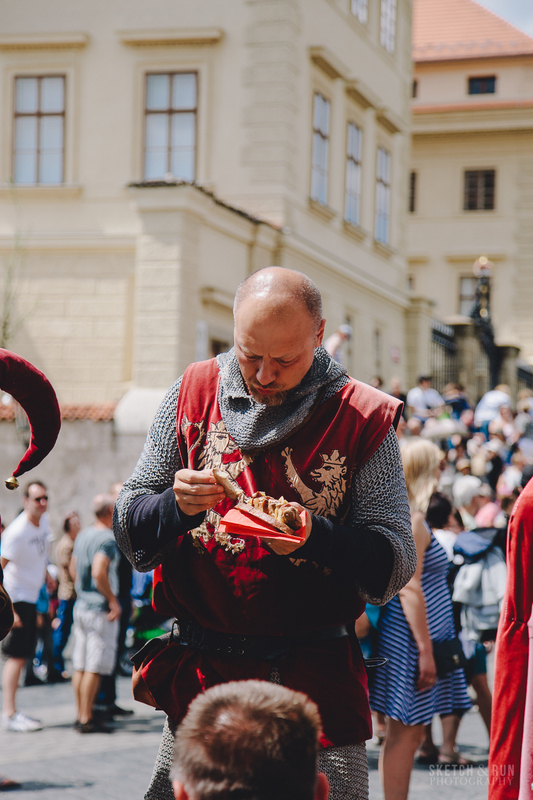 Following the steady stream of tourists will be enough to take you to the long flight of stairs that will eventually end at an open area leading to the courtyard of the palace, the red-roofed spread of the city below. If there's any place where it's imperative to follow the adage of 'always find a high point in a new city', Prague is it. Moments that stick out in the memory: catching the themed performers (sweltering in the 31C heat in their royal garb) taking a break for lunch, the tiny shuffles that the palace guards make to make sure they're within an entire arm's length of each other, the literal sea of people filling the square. There's nothing quite like a tourist attraction in summer. 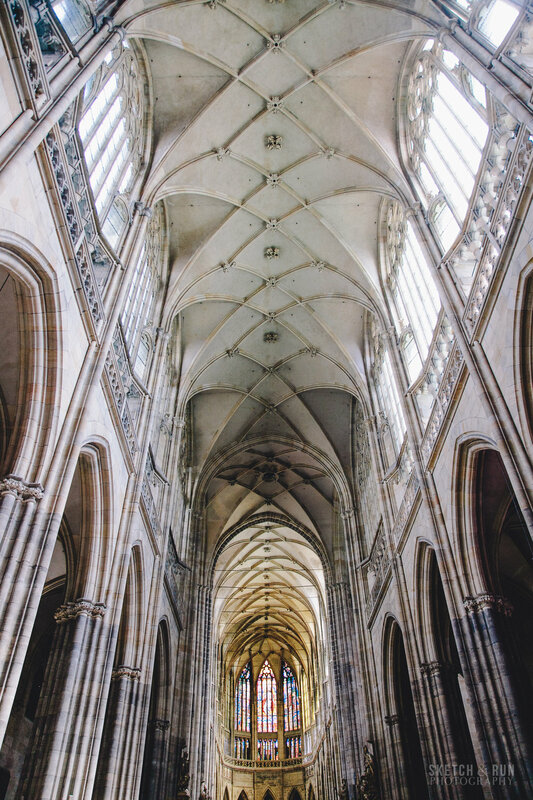 If that isn't enough up-ness for you, I was almost bent over backwards to get the entirety of St Vitus' Cathedral with a 24mm. 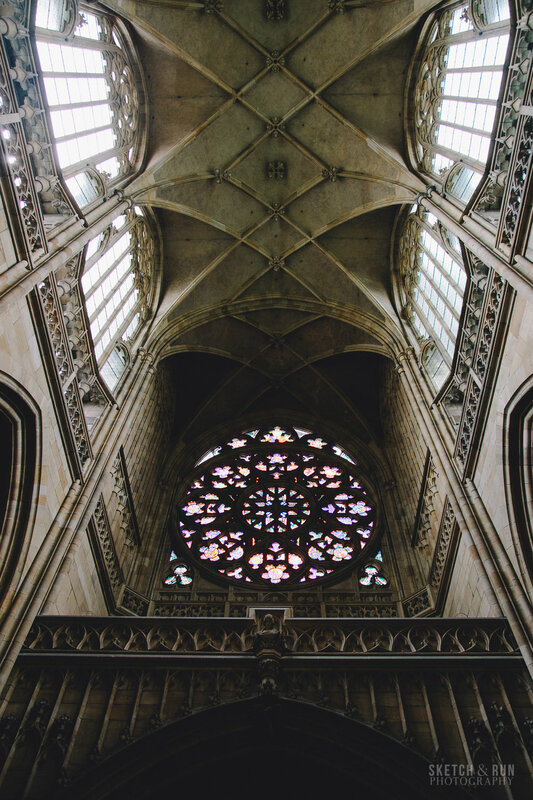 This cathedral is truly enormous, with intricacy that is even more awe-inspiring because of the scale. Make the manual climb up to the Bell Tower for the above view. The leg burn is 10000% worth it (jut try not to drop your camera sticking it out of the pointy iron grilles). Bring a zoom lens with you when you go up for a closer look at how full Charles Bridge is during the daytime. Truly astounding.